1 Put paprika, chili & garlic in a blender or food processor & blend into smooth paste. (If necessery add a little bit oil to help the blending process). 2 Heat 2 tbsp oil in a wok or saucepan. (Don't add oil if already added in a blender). 3 Stir fry the sambal paste & kaffir-lime leaves. Stirring all the time until well cooked & fragrant. 4 Adjust into medium heat & let it cook until oil begins to appear on the surface, take about 15 mins. Stir frequently. 5 Stir frequently so that sambal does not burn. 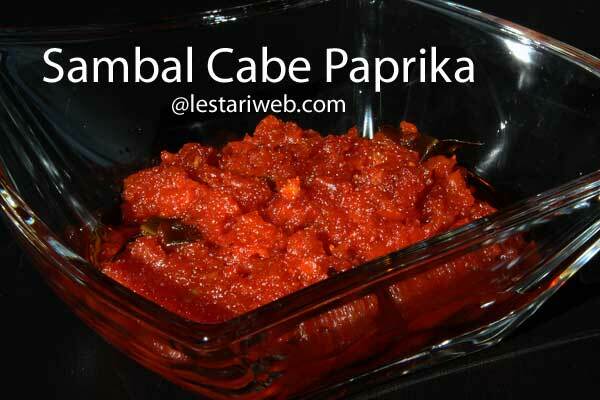 Sambal is ready when the liquid is completely absorbed and the paste has become relatively dry. 6 Adjust the seasoning. Add salt & sugar to taste. Remove from heat. 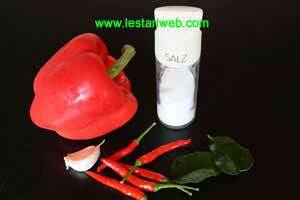 Let sambal cool completely then store it in an air-tight jar & keep in a fridge. Sambal will stay good for 2 weeks..